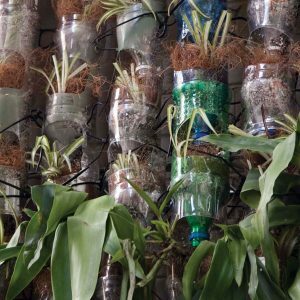 The PET bottle greenwall was developed from an idea Mark had while working with his Brazilian licensee Bruno Resendez de Silva in schools in the Favelas in Rio. A simplistic idea, the community working together to collect, recycle and build a sustainable garden in the vertical plane. Creating a habitat for small animals and insects while instilling intrinsic environmental values in our next generation. 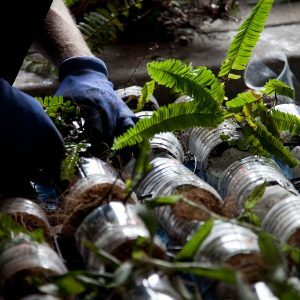 Rolled out as a school initiative, the PET bottle greenwall project is designed not only to reclaim the built environment but also educate students on the importance of recycling and creating natural habitats with the objective of instilling these environmental values in the next generation. 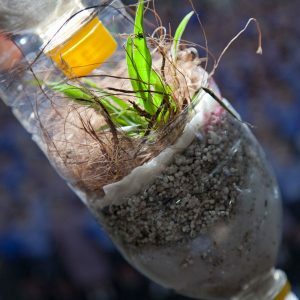 Completely driven by students, the PET bottle greenwall project provides a fun learning experience while educating school children about reusing and recycling products such as plastic bottles to make something with a purpose. 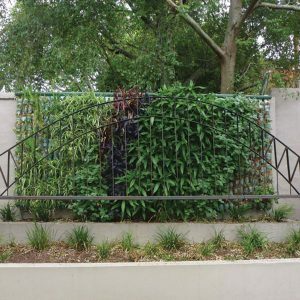 The first PET bottle greenwall was installed at St Rose Catholic School followed by a number of schools who have also implemented the program. The greenwall company is working on an educational resource kit, which will allow other schools to take up the greenwall challenge.